The Office of Diversity at Indiana State University has awarded funds for student-organized events during the spring semester. Grants are awarded on a competitive basis to help cover the cost of events that make diversity more visible on the ISU campus. The grants also encourage collaboration among departments and organizations within the university and community, Mary Ferguson, director of the office, said. 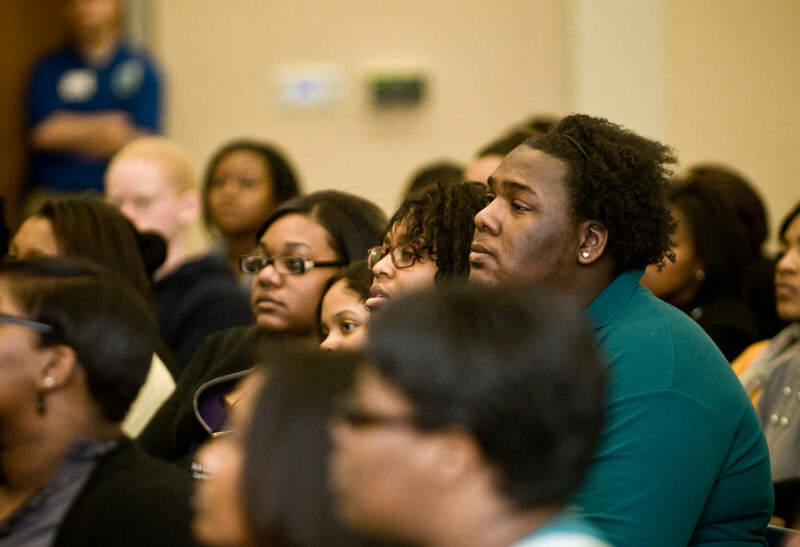 "Indiana State University can be proud of the level of student diversity on its campus," Ferguson said. "We applaud the student groups receiving funding for developing creative ways to educate students and others in the campus community about different cultures." • The Signing Sycamores for activities to become more educated about deaf culture and the practice of American Sign Language. The Office of Diversity awards funds three times per year: in the fall, spring and summer. To achieve maximum efficiency and environmental responsibility, applications for funding must be made online at http://indstate.edu/diversity. The deadline for summer 2010 funding is May 9. The office will also award grants for faculty projects to be conducted during the remainder of 2010. Applications for faculty grants will be accepted online through March 5. Faculty receiving funds will present public presentations about their projects during a diversity conference at ISU scheduled for Nov. 6. Photo: http://isuphoto.smugmug.com/Events/Leadership-Conference-2010/DSC7713/783907838_ehEdX-L.jpg - Students listen intently to a speaker during the 2010 Black Leadership Conference at Indiana State University, one of four student-organized events to receive funding this spring from the university's Office of Diversity.